We're sure that you have seen, either on TV or the Internet, the typical video in which one photo turns into another. That effect is called morphing, and FantaMorph is one of the programs that can be used to perform this action in the best possible way. 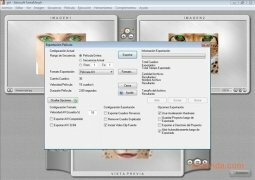 This tool can open any image in BMP, JPEG, TIFF or PNG format. 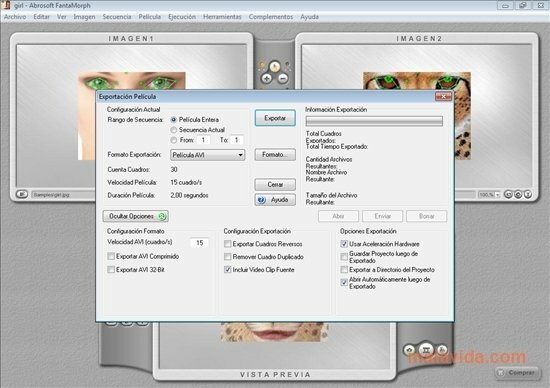 Once it has opened the photos, the software will allow the user to indicate the key points that the software has to use as a guide when it comes to joining both photographs and carrying out the morphing process. Thanks to this we will manage to make the morphing process a lot more dynamic and as a result obtain results of greater quality. FantaMorph allows you to store the result both as video as well as GIF or SWF, so we should have no problems at all to be able to share it. It is also important to mention that it is possible to carry out small enhancements to the photos during the process. On the other hand, the result is totally customizable, allowing the user to edit the transition speed, the size, add effects and, to sum up, finish the morphing however he/she likes.